Janet Andrews has enjoyed a happy and fulfilled life, as packed with adventure and drama, love and laughter as she could have wished. But it has not been a carefree one. As a young woman she developed an acute form of multiple sclerosis, which has progressed until Janet, now in her sixties, is largely paralysed with the exception of partial movement in one arm and hand. It has progressed to the point where she cannot get up or go to bed without the assistance of carers and a mechanical hoist. Yet her remarkable sense of humour and her love for her family and the world around her shine on undiminished. 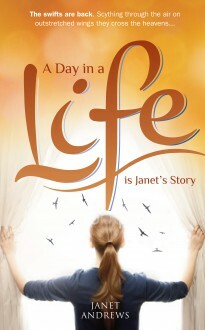 Funny, moving and inspirational, A Day In A Life is Janet’s story.